We love to photograph weddings in Sheffield. Summer weddings are always great, especially when the sun is shining and you have a reception venue as fantastic as Smallshaw farm. With the amazing views and space to put up a teepee its a fantastic wedding venue – they even have a spa there now! I love how colourful Verity & Adam’s big day was with the cheerful sunflower bouquet and bright groomsmen ties, great for a summers day. Verity looked amazing in her gown – there were plenty of tears from the happy bridesmaids before they all headed off to the church for the wedding. With shafts of sunlight streaming in through the stained glass windows it was truly amazing. After a good coating of confetti they all went to the reception in the stunning teepee in the grounds of Smallshaw. Guests loved the Harry Potter themed table decorations and the cake topper was so adorable! There was chance for some fun games outside before the reception began. During the meal the guests all had a task to create a wedding themed decoration with playdoh which the happy couple judged before cutting the cake – I think this is a great idea! In the early evening we took some photos as the sun went down over the hills and then the dancing began in earnest with some lifting, spinning and then marshmallow toasting! Helen & Paul have photographed weddings in Sheffield for 10 years. They now are based in the beautiful Lake District and photograph weddings in Carlisle, Keswick and all over the Lakes. 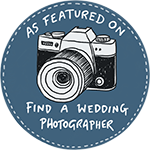 They also photograph weddings in Yorkshire too. With a special offer on at the moment contact them to see if your wedding date is available!